..whereby the astounding early success of the Conductor CA1 interconnect, putting Ecosse on the world map, demanded that we take the basic structure of the CA1 (copper analog) and turn it into an MA2 (Monocrystal™ analog- that's how we get our nomenclature). All we changed was the copper conductors from UHP-OFC to near perfect zero-crystalline-boundary Monocrystal™. Its success damn near blew us away-so astonishing in its across-the-board appeal has The Maestro MA2 Interconnect become. Not surprising really when you consider the enviable construction quality and technically unsurpassed (at anything approaching its price point) conductor material that goes to make The Maestro. Not only is the 'going' and 'return' conductor multistrand ultra-pure grain-free proprietary Monocrystal™ Copper, (each single crystal of copper is a massive 1700m long, go figure!) but the tight double braiding of the latter offers-together with the addition screen of Conductive Polymer - 100% protection from environmental 'noise' pollution. A ‘sandwich’ dielectric of superior quality low-loss Polyethylene and ultra low-loss, low-density, increased-air (best earth-bound dielectric) gas-foamed Polyethylene (FPE+) ensures absolutely minimal signal energy loss down its length. Our unique Monocrystal™ copper contact points MACH2 RCA phono plug terminations, with proprietary shielding (designed to form a 'Faraday Cage'- a device designed to maximise RF screening), ensure the finest performance available anywhere. Don't be fooled by the claims made by our unscrupulous competitors that they use similar copper plugs - they don't, instead they usually use mere imitation low-transmission-rate (about 28% only) brass! If you are ready to upgrade your hi-fi or AV system to experience the audible benefits of Monocrystal™ technology, The Maestro MA2 is a necessity. 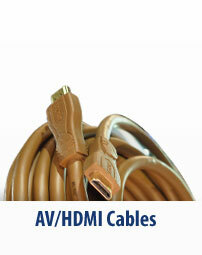 The Maestro is not a cheap cable, but it may well be the least expensive upgrade you will ever make. Its ability to bring you ever closer to the music as the artist who performed it intended it to be heard - in terms of sound stage, clarity, detail, focus, high and low frequency extension and above all realism - is unparalleled at this price point! 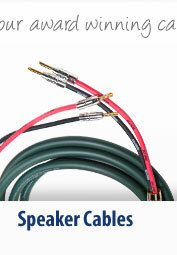 We sincerely recommend you to match this cable with one of our Monocrystal™ 'speaker' cables. 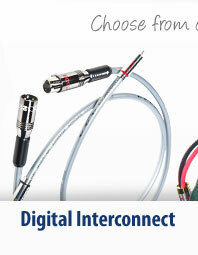 Thus, for the ultimate audio experience, try it with our MS2.3, MS2.4 or MS4.45 or MS4.7 pre-terminated biwire combination. 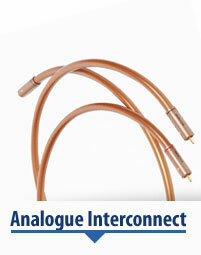 Complete system synergy may be obtained by checking our cable match table. The Maestro - already a legend in audiophile circles! 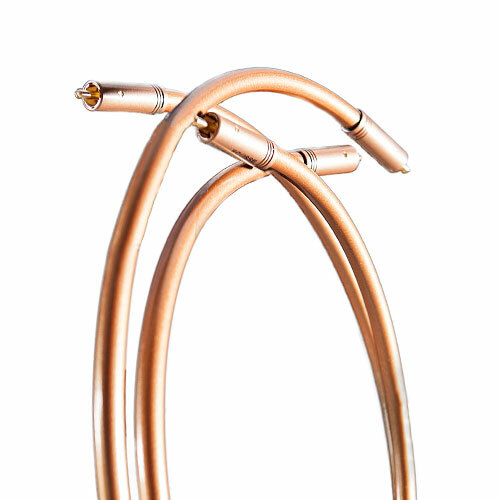 To maintain continuity and optimum conductivity, their contact points are made from Monocrystal™ copper - same as the conductor wire itself (don't be fooled by inferior yet similar-looking brass plugs as used by some of our competitors, these are cheap and nasty!) Both centre pin and the return conjugate bracket (designed to form a 'Faraday Cage'- a device for reducing RFI) terminals or shells are direct silver hard-plated (others use 'flash-gold' plating which is a very thin coating that wears away very quickly and soon looks tarnished-you have been warned!). The plug casing is precision machined from highest quality copper alloy and is deep-plated. This thick casing offers further shielding - effectively a second 'Faraday Cage' - and reduces the ingress and radiation of EMI, ESI and RFI 'noise' even further, to virtually zero. The interface of shells and casing is one of high mechanical impedance, dissipating energy and rendering microphonic effects negligible. Supersolder™ - our new ultra high purity silver and tin alloy solid wire-used in conjunction with our unique, passive organic flux. Together these ensure a joint with ultra low chemical contaminants and very high strength. "...a great performer that stamps its authority on the music, giving powerful and engaging sound. "…sonically they amaze… high-end system owners take note." "Sonicamente o, Ecosse Maestro tem um bom equilibrio tonal,limpeza e extensao em ambos os extremos. Sua apresentacao de regiao media e bastante rica e detalhada." The Ecosse Maestro MA2 is probably one of the most revealing cables I've heard. it does however require a lot of run in time." "Another use of OCC copper, The Maestro’s coaxial configuration (against the Navigator’s pseudo balanced arrangement) gives a close approximation to the winners naturalness and fidelity"
"Once run in the Maestro proved to be one of the most revealing cables I’ve heard. It was almost alarming to hear sounds on music that I know well, that I’d not heard before. The revealing nature of the cable also extended to the sound stage. This increased in all directions and the definition of artists and instruments within this wider and deeper staging was also enhanced. I could for example detect how far behind the main vocalist the back up singers stood. Verdict The Ecosse Maestro MA2 is probably one of the most revealing cables I've heard. it does however require a lot of run in time." "…their rhythmic integrity and drive is excellent." "…one of the best…well-balanced qualities ranging from a stable bass and midband, quick, propulsive timing, expressive and subtle music phrasing, and a high degree of vocal intelligibility." "A heavyweight in every sense, this is a big sounding cable…"
"...Maestro do not sound inferior to an equivalent product that costs 5 times more..."
"…clarity and detail are top-notch, midrange and treble have great insight, while bass is both well extended and weighty. 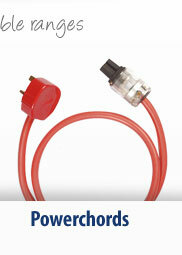 Expensive as it may be, the Ecosse MA2 is a superb choice for those in the market for an upper-echelon cable."